Recorded in front of nearly 40,000 young adults, Passion is unveiling 'Step Into The Light' featuring Sean Curran. Not initially on the January release of Follow You Anywhere, the song’s release comes in the midst of much anticipation and conversation after the song was debuted live at Passion 2019. 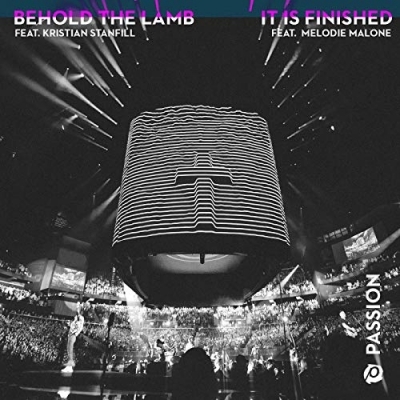 Passion 2019 drew audiences from across the globe filling arenas in Atlanta, Dallas and Washington, D.C.
Read More Recorded in front of nearly 40,000 young adults, Passion is unveiling 'Step Into The Light' featuring Sean Curran. Not initially on the January release of Follow You Anywhere, the song’s release comes in the midst of much anticipation and conversation after the song was debuted live at Passion 2019. Passion 2019 drew audiences from across the globe filling arenas in Atlanta, Dallas and Washington, D.C.
Passion’s latest album Follow You Anywhere is available now. The 10-track collection garnered 2.6 million streams within the first week of its digital release, setting a new record for both Passion and sixstepsrecords.